In recent years, L.A. County’s homeless population has elevated by astronomical levels, climbing over 23 percent in just 2017 alone. 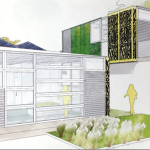 As part of the county’s overall Homeless Initiative, last September, the L.A. County Arts Commission launched Part of the Solution: Yes To ADU, a design competition soliciting innovative uses for accessory dwelling units (ADU) in single family lots. The winners were announced late last month. There are up to 1.3 million dwellings in the county that could accept such lots, points out L.A. Country Arts Commission Civic Art Project Manager Iris Anna Regn. 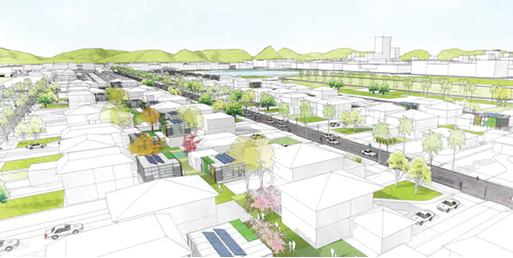 Officials hope the competition winners will get designers more involved in policy strategy, and help homeowners visualize how to develop ADUs on their properties. 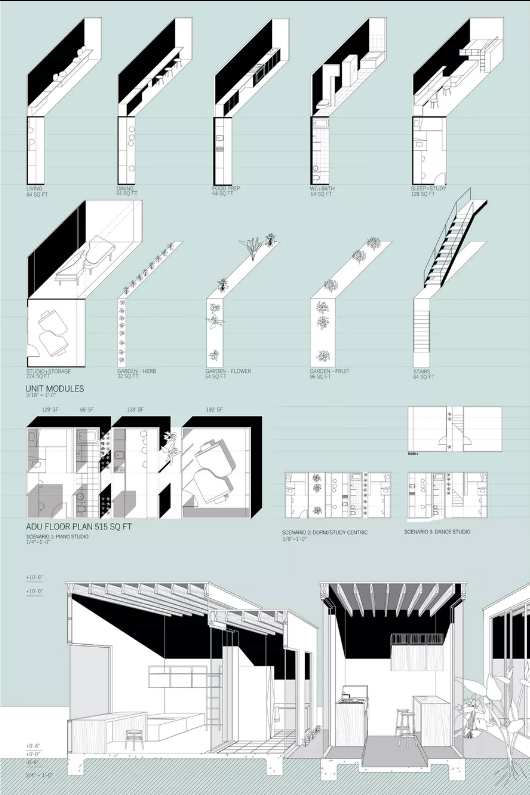 Competition winners were selected anonymously from a pool of 43 professional and student entries. 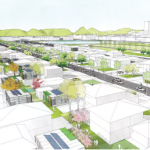 First place went to recent graduates Lilliana Castro, Allen Guillen and Cheuk Nam Yu, who suggested eliminating dwellings’ fences and walls to create more open neighborhoods and better integrate dwellings into the city. Their pre-fabricated constructions, imbedded with green wall panels, solar roofs, and art walls, would be cheaper, easier, and faster to install. Two teams —Anonymous Architects and Esther Ho — tied for second. 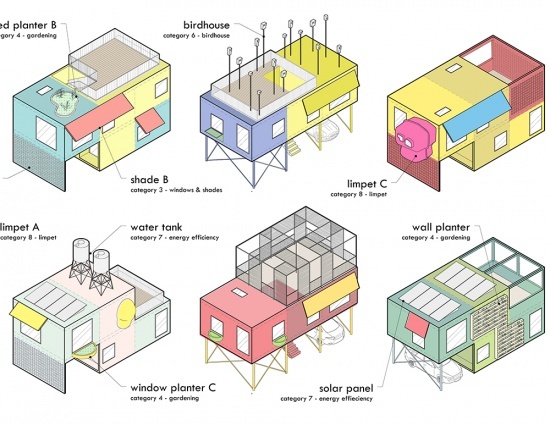 Anonymous proposed a modular solution built around recycled plastic packaging that could be customized with elements like solar balloons, water tanks, gardens, and even bird houses. 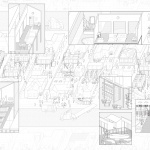 Ho proposed another modular solution, called the Barcode House, which could be easily adapted to varied uses, from dorm rooms to small businesses. Two Honorable Mentions went to Bureau Spectacular and Wes Jones Partners. 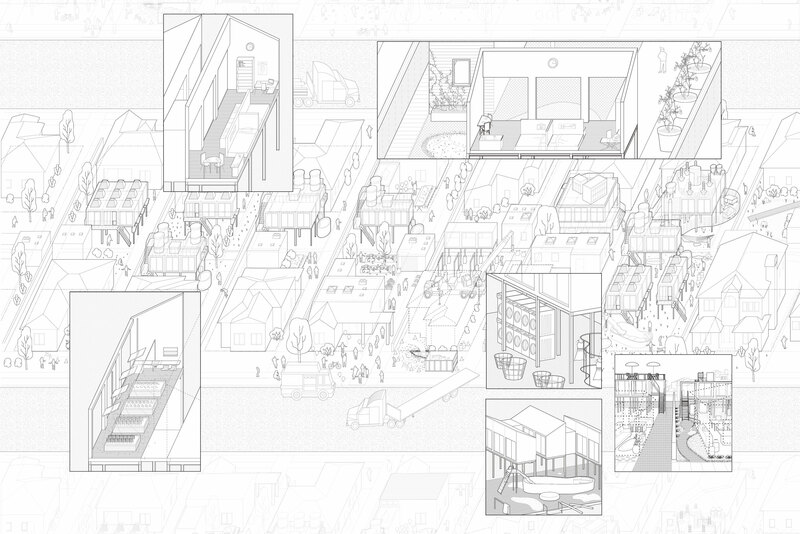 Bureau Spectacular’s Backyard Urbanism suggested that ADUs could perform other uses besides housing, like recreation spaces or laundromats. 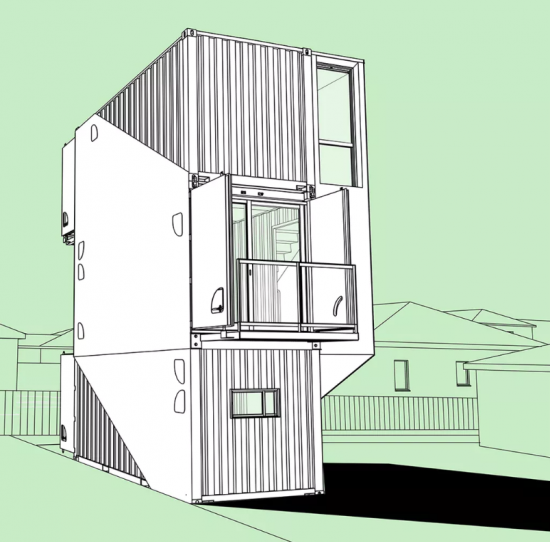 Jones suggested the use of shipping containers, their designs kept simple but elegant to fit into their contexts. 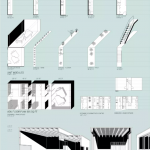 The competition-winning proposals, and a handful of others, will be exhibited throughout the county for the next few months, including a panel discussion at Downtown LA’s Institute for Contemporary Art on May 24. Already the Arts Commission has shared the visions via events at East LA College and the AC Bilbrew Library.